This is probably my favorite topic of them all, and I could (and probably will) fill many listening trails with shows that fall under this category. Everyone likes to be turned on to a great show that they’d never otherwise give a second glace. With a music collection as big as the Dead’s, there are bound to be hidden gems hiding under rocks and around corners all over the place. Finding them is a challenge all its own, and in large part makes up a sizable portion of the inspiration for the Listening Guide in the first place. In many ways the entire guide is often one long unsung heroes trail. It’s an extra special pleasure to give someone a show that they’d never thought of before and watch their eyes light up as the music takes over. Certainly one of the more exciting trails to follow, bumping into the unsung heroes among Grateful Dead tapes makes for some of the most satisfying musical experiences we can seek. I hope everyone can find a least a few eye openers while travelling along this trail. We’re going to stick to the ‘70’s on this trail. Don’t worry. We’ll head down many different unsung heroes trails before it's all over. 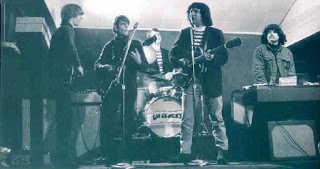 05/07/70 – This show scores a perfect 10 on both the acoustic Dead scale, and the raging psychedelic beast scale. From the nose to toes, this is one of the greatest Dead shows of all, yet it is so often overlooked. From the amazingly welcoming energy of the acoustic set (my favorite, by far), to the many worlds travelled in the electric set highlights, this show can’t be missed. Wood, organic, Grateful Dead. 03/18/71 – Worthy of the highest of praise, this show gets nearly no attention. Sandwiched between the long standing popularity of the month before and after, this gem from March, ’71 boils over with everything indicative of the Dead’s mastery at this stage of their career. A perfect slice of 1971, and the last known rendering of “Feedback.” The true end of the Primal Era? Let’s not start the debate here. 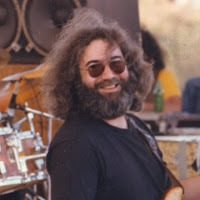 07/01/73 – I’ll happily talk to no end about my love of Summer ’73 Grateful Dead. A stellar AUD recording with one of the best Playin’ In The Band’s from the year, and a fantastic, deeply explorative set two jam, it makes me wonder why the rest of the world doesn’t share my belief that it doesn’t get much better than everything that this band played in the Summer of ‘73. Shorter lines for me, I guess, when we perfect time travel and can go back to see some shows. 10/03/76 – The latter half of 1976 was always the hardest to come by in tape trading circles, and with most of the year’s best music hiding there at the back end, it’s no wonder 1976 struggles to get its props; that, and big old 1977 coming right after. Hearing this show’s second set changed everything for me regarding 1976, and set me on a path to find every drop of nectar from this year. Multiple moments of inspired improvisation, and wickedly subtle psychedelic interplay throughout, make this show a constant favorite of mine, always one to share. 07/01/78 – Another year where the Summer seems to suffer from a lack of appreciation. The Red Rocks shows from a week later show up on everyone’s list, highly circulated soundboards. I find digging a bit more deeply into the first week of the month pays off even better dividends. No soundboards at all. No reason to worry. You won’t hear this one getting a lot of talk, but I find it to be a perfect stop in 1978. In finishing this list, I find myself thinking of many many more shows that could be on this trail. No doubt, we’ll be back for more. In the world of Grateful Dead tape collecting, we could debate which audience tapes have the best sound quality until we grow too old to press the play button. The list of “Best Grateful Dead AUD tapes” goes on and on. However, there are a few recordings (some of which have been featured on the Guide already) which stand the test of time as tapes that can stop you in your tracks and make you say, “Wait a minute. That’s an audience tape?” Often, these recordings serve well in warming one’s ears to the medium of audience taping itself. And while they’re at it, these tapes also do a good job of dispelling the myth that all audience recordings from way way back in the 70’s (gasp!) pale to what more “modern” taping equipment can produce. Yes, caveats should be given for certain technical limitations of the day. But, with these tapes, we can absolutely gain an understanding of how amazing the Dead really sounded way back when (and even not so way back). Rather than ranking them against each other, they are listed simply in chronological order below. This is a subject that will easily allow for the future creation of more than just this one trail. But, this first one is surely one of our most well worn paths. Nothing left to do but smile, smile, smile. 05/03/69 – It’s almost unfair, and like something from another dimension. Audience tapes in 1969 don’t sound this good, ever. Vocals-shmocals, the mics on stage miss the PA speakers that carried the vocals, so the singing is a bit buried. It’s 1969. Get over it. 08/06/71 – Perhaps the most famous Grateful Dead AUD tape of them all. Your ear will quickly acclimate to the sonic landscape and be rewarded with some amazing 1971 magic. Set two will leave you giddy. 09/28/75 – Again, like stacking the deck, we learn that if you can pull off setting up directly on the lip of the stage, the Grateful Dead will reward you many times over. Quite possibly, this is the outdoor recording of all outdoor recordings. Portions can also be heard in podcast listening session 001. 05/13/83 – Score the perfect seats, in the perfect row, at the perfect outdoor venue, on a perfect day. It’s all gravy from there when the Dead deliver a soul quenching performance. Portions can also be heard in podcast listening session 001. 09/19/90 – A tip of the hat to the progress of taping technology! The stars line up here to completely shatter the limitations of any preconceived notions you might have around audience tapes, even if those notions were already pretty good. Another installment in the GDLG Listening Trails Series. It is understandably natural to want to find your way to the best Dead shows ever when first exploring Grateful Dead music. The band was famous for playing a lot of concerts, and always known for being better live than they ever were on studio albums. However, we are heading into treacherous waters when we try to claim which Dead shows were the best of all time. None-the-less, that doesn’t seem to change the fact that people are always looking for them. Our goal here will be to call out some performances (from those that have already made it into the Grateful Dead Listening Guide) where the band reaches the golden ring deep inside – shows that truly do stand out for containing extra special musical moments. A wickedly hard list to compile (and one often fraught with personal opinion), we’ll start below with just a few shows listed chronologically, as truly ranking things in order of greatness is a foolish venture, indeed. No doubt, there will be more “Best Show Ever” trails to come. This first pass is intended to include shows that our entire community could probably agree are true standouts. Try to forget the “best ever” name of this trail, and see it as a walking tour of some shows that highlight the Dead going over the top musically; hitting musical satori like a bell. These are shows where the Dead’s musical muse is aflame with light and creativity. 06/24/70 – Stop here, and don’t pass Go. The sound quality of this tape might be hard on first time listeners (more on that in the review itself). Deadheads may disagree on the topic of “best ever,” but most will agree that it rarely got better than this. Dark Star > Attics Of My Life > Dark Star > Sugar Magnolia > Dark Star > Saint Stephen > China Cat Sunflower > Jam > I Know You Rider. Words can not express… Perhaps one of the longest stretches of pure flowing X factor we have on tape. 07/27/73 – The Watkins Jam. So famous, we often forget just how mesmerizingly special it really was. There was nothing quite like it before or after. This is something for the ages. Note: it’s the audience tape addressed in the review, not the version you might have heard on the So Many Roads boxset. The AUD is fantastic, and a bit of it is featured in podcast listening session 001. 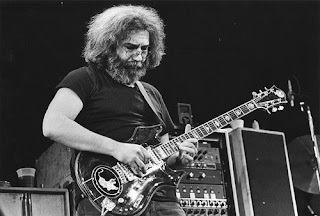 08/06/74 – From a year of knock out performance after performance, there’s something somehow a cut above happening during this day’s first set stand alone Eyes Of The World, and Playin’ In The Band > Scarlet Begonias > Playin’ In The Band. Hold on tight. 05/08/77 – Damned if I don’t include it on a “best ever” list, and perhaps equally damn if I do. Everyone owes it to themselves to figure out how they feel about the most famous Dead tape of them all. When this site started in February, 2008, I likened the collection of Grateful Dead recordings available online to a vast sea in which folks needed help navigating. The Listening Guide was conceived as something of a combined compass, rudder, sextant, and ocean map, all aimed at helping people navigate the waters. Over time, this site itself has grown into something of a sea of its own. And I can’t help but wonder if, despite the handy label cloud of tag links and the personal hand holding fun of the Podcast Series, newcomers arrive here with a sense of uncertainty regarding where to step first, let alone, second. 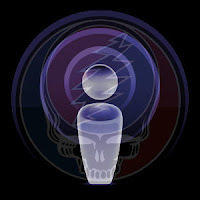 Since these steps were precisely the inspiration which lead to the creation of the Grateful Dead Listening Guide, I’ve decided to add a new layer to site’s information, aimed at easing confusion and making the first steps, and those thereafter, somewhat easier: Listening Trails. Working with the vision of the Dead's vast music collection as more of a National Park than an ocean of water, it seems appropriate that visitors to the park should be handed a map of trails to consider following. Just as is found when visiting most any natural wonder, we typically are encouraged to follow some well worn, and satisfying paths that have given previous visitors pleasure, rather than just being cut loose to tackle a mountain side, waterfall, or forest rather blindly. And, there should be the occasional park ranger found along the way to point out particularly pleasant viewing stations here and there. Some listening trails you could walk in a day, while you might find it best to walk others over the period of weeks, camping out at particular shows for extended introspection. However you travel, my hope is that these trails will serve folks well, and always make the daunting task of confronting the Grateful Dead’s musical collection less, well… daunting. As the trails are built, I’ll try to keep a list of them within handy arm's reach of new (and old) comers. I have a good handful of trail subjects in mind to get started which I believe will help visitors make the best use of the Grateful Dead Listening Guide. I’m sure more will be built as time goes on, and as the GDLG “park” continues to expand. You’ll find all the trails filtered under a new label link in the cloud called: Listening Trails. Here’s to some enjoyable travels.